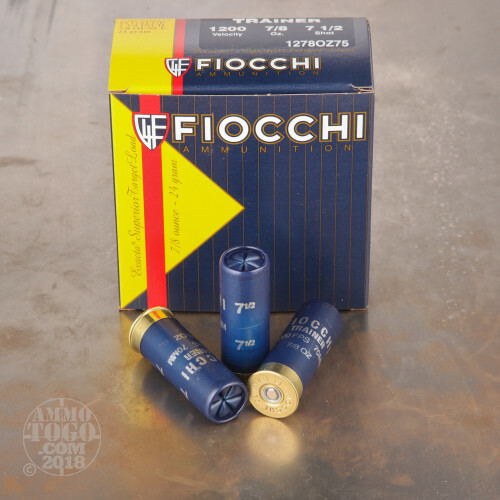 One of the largest and oldest European ammunition manufacturers, Fiocchi Munizioni has been producing high-quality ammunition since 1876. 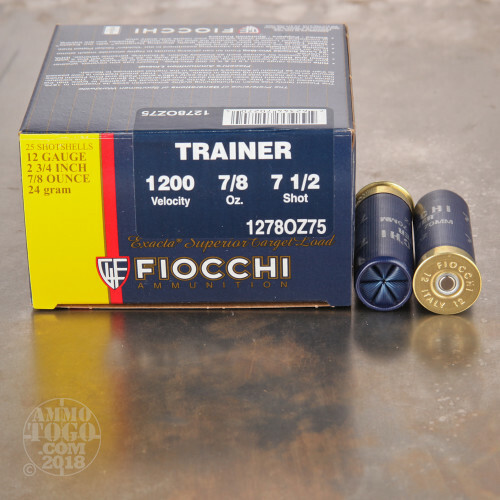 Based in Lecco, Italy, Fiocchi has been manufacturing ammo for their US market in their state-of-the-art production facility located in Ozark, Missouri since 1986. This Low Recoil Target ammo combines the best of Italian style with the best of American innovation. 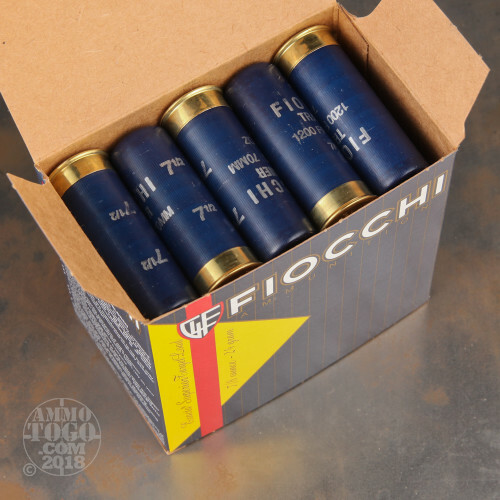 This package contains 25 rounds of Fiocchi 12 Gauge Target ammunition. Each new production 2 ¾ inch shotgun shell is loaded with ⅞ ounce of #7 ½ shot. Fiocchi uses only the finest raw materials and components, including hard, uniform, one-piece plastic wads, reliable, clean burning propellants, and non-corrosive primers. 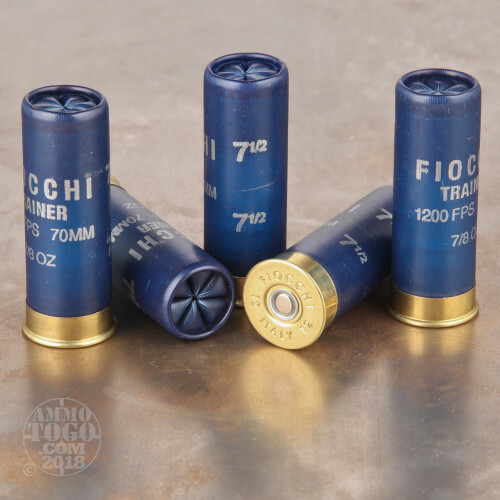 Leaving the muzzle at a velocity of 1200 feet per second, these rounds are ideal for sporting clays, handicap trap shooting, and other target applications. Designed to deliver maximum performance with reduced recoil, these loads allow for faster shot recovery and improved shot-to-shot accuracy.